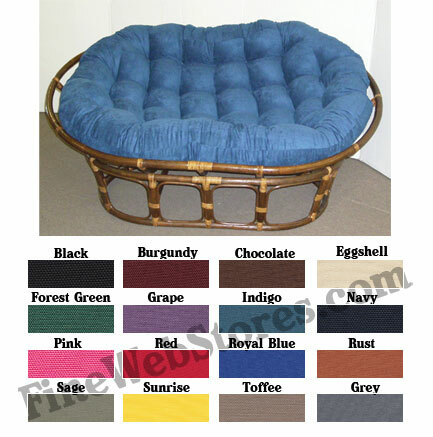 Please note that the ottoman papasan cushion, which can be 16", 18" or 20" wide, does NOT come with the papasan cushion, it is an add on if you need it for extra charge. We show it in our graphics to show what it looks like. 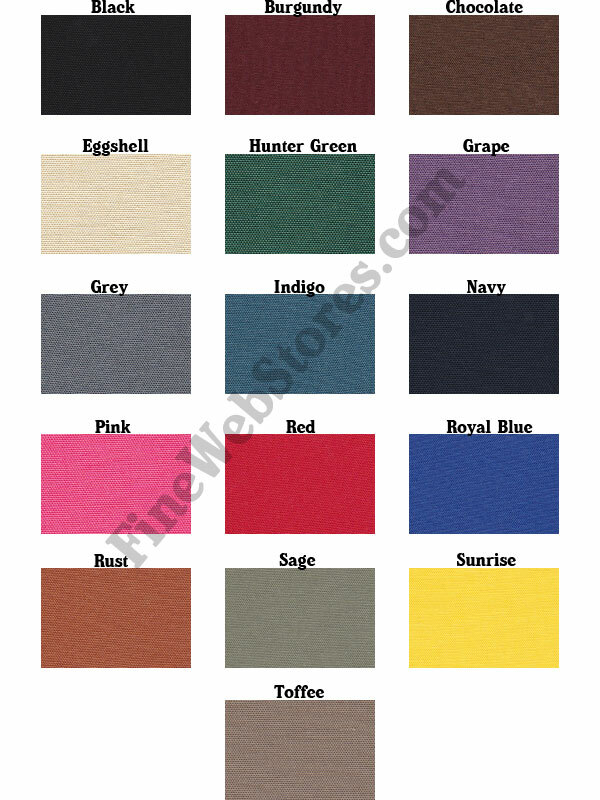 The Double Papasan Solid Color Replacement Cushions is made from 50/50 cotton/poly duck fabric.